Provo's Village Bake Shoppe in the Chicago French Market (131 N. Clinton St., Chicago, Ill.; (312) 575-0306) is expanding their product line to include additional baked goods and delicious sandwiches. They will be opening an additional booth and baking on-site. New sandwiches include the Polish Kielbasa Sandwich and Polish Parowki (Veal Weiner) Sandwich, available for $6 each including chips and a drink. Provo’s Village Bake Shoppe also will be offering White Borscht Soup, a new sour, spicy soup containing Polish sausage and bacon for $5 per cup. Keep an eye out for additional specialties to come in the next few weeks. Provo’s Village Bake Shoppe, located within the Chicago French Market, offers fresh, delicious handmade European baked goods—aimed to satisfy the sweet tooth. Provo’s Village Bake Shoppe sets itself apart as the baked goods are made with fresh ingredients using old fashioned techniques to create the most flavorful product. These delectable goods are free of high-fructose corn syrup and preservatives, and come from local farmers. 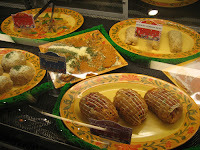 Provo’s Village Bake Shoppe offers an array of products to include an assortment of pies made with fresh local fruits/vegetables including pumpkin, pecan and fresh fruit; sweet breads including zucchini, carrot, pumpkin and cinnamon-apple; cakes for any occasion and holiday specials such as Christmas cookies, fruit cakes and Thanksgiving pies. Provo’s Village Bakery Shoppe is open Monday – Friday 7 a.m. to 7:30 p.m. and Saturday from 8:30 a.m. to 6 p.m. For more information about Provo’s Village Bakery Shoppe in the Chicago French Market, please visit http://www.chicagofrenchmarket.com/ or call Provo’s Village Bakery Shoppe at (312) 207-1261. Tonight (Friday, Feb. 25) Restaurant Michael (64 Green Bay Rd., Winnetka, Ill.; (847) 441-3100) features beautiful, 1.25 pound Whole Maine Lobsters for just $29.95! Served butter-poached on a bed of sautéed baby spinach leaves and creamy polenta, this luscious dish is mouth-watering. To finish, the Whole Maine Lobsters are dressed with either hazelnut scented lobster bisque or candied lemon, capers and brown butter. Be sure to indicate preference when making a reservation as there are only 24 Whole Maine Lobsters available. To make a reservation, please call Restaurant Michael at (847) 441-3100. Keep in mind, the seven-course Truffle Menu is available for $89 (add a wine flight for $24). Restaurant Michael Features an Award-Winning Dover Sole Dish Tonight! Tonight, in addition to the launch of its 2011 seven-course Truffle Menu ($89 add a wine flight for $24), Restaurant Michael will feature an award-winning, unique version of Dover Sole. 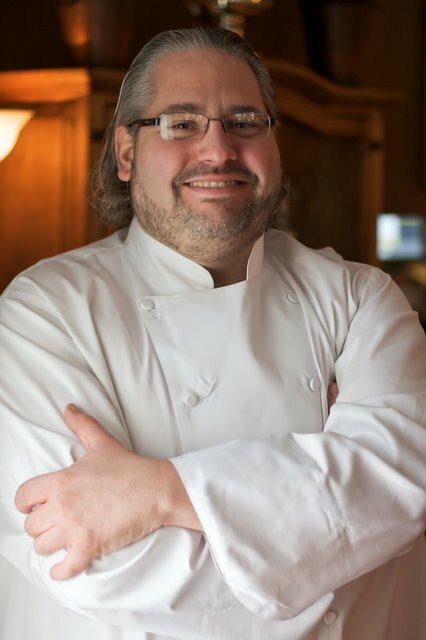 Michael Lachowicz learned the dish while working for Jean Banchet of Le Français fame. The flawless filet of Dover Sole is wrapped in a “turban” around a silky mousse made with scallop. The mousse is just enough to hold lovely pieces of lobster tail in place. The entire affair is wrapped in puff pastry and baked until golden brown. The melding of the juices from the Dover Sole and Lobster combine to add to a delicious lobster and hazelnut sauce. This special has no up charge as it fits nicely in the restaurant's prix fixe menu structure, $48 (three-course) and $55 (four-course) plus tax and gratuity. For guests with a lighter appetite, this special version of Dover Sole is also available à la carte. For reservations, please call Restaurant Michael at (847) 441-3100. 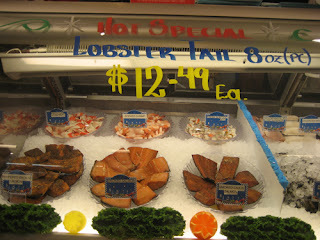 Special offerings include those offered by Restaurant Michael such as our Friday night special. I think my life is about to change. At least, I hope so. My husband Lee and I have been talking about changing our diet for years. My chance meeting with Clean Start author Terry Walters today at the Chicago French Market may just been the ticket we needed to start anew. 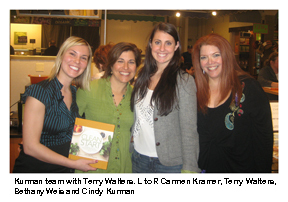 For those of you who don't know Terry, she authored the highly regarded Clean Food book last year and is currently on a book tour espousing the virtues of "eating clean and living well." Her new 165 page book is inspirational. 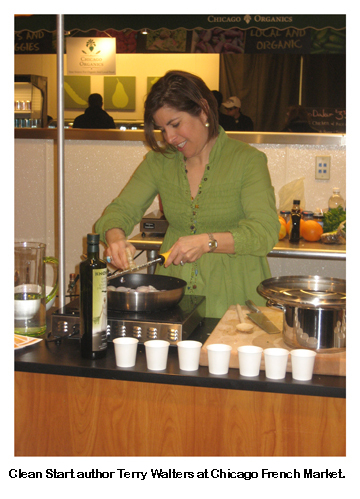 Terry makes cooking with seasonal, locally grown ingredients simple and satisfying. The two dishes that she sampled at the market today (Shallot Fig Spread; and Red Lentil Soup w/ Turnips & Parsley & Hot Spiced Coconut Milk) were simply delicious. I was struck by how simple the "clean" book recipes are. I can't wait to start cooking. The preface of the book really struck home. "Clean Start is about enjoying healthy, delicious, clean food everyday. It's about having a relationship with food that's not based on living up to somebody else's ideal, or following a strict regime. It's simply about making healthy choices, one at a time, and doing the best that you can do, empowered with knowledge and motivated by intention. It's about maximizing nutritional value and taste, and minimizing waste and imbalance. It's about true nourishment. The kind that makes you feel good about yourself. The kind that you want to share with others." The Clean Start book is as much a guide as it is a cookbook. Whether you're starting again or starting anew, eating clean is about being nourished by your food and by your journey," she says. If you missed the book signing. Terry's enthusiasm and commitment is contagious. "START HERE. It doesn't matter where you are starting. Eating clean is about what we can do now to make healthy choices." Eat dark leafy greens every day. Eat foods that are grown, not manufactured. Buy clean food and leave the rest behind. Buy and try one new clean food each time you shop. Know the source of your food. Buy local and organic when you can. Be nourished by your food and make peace with your choices. The book is packed with information and 100 tasty, healthy recipes. I am so happy that I went to the book signing today. 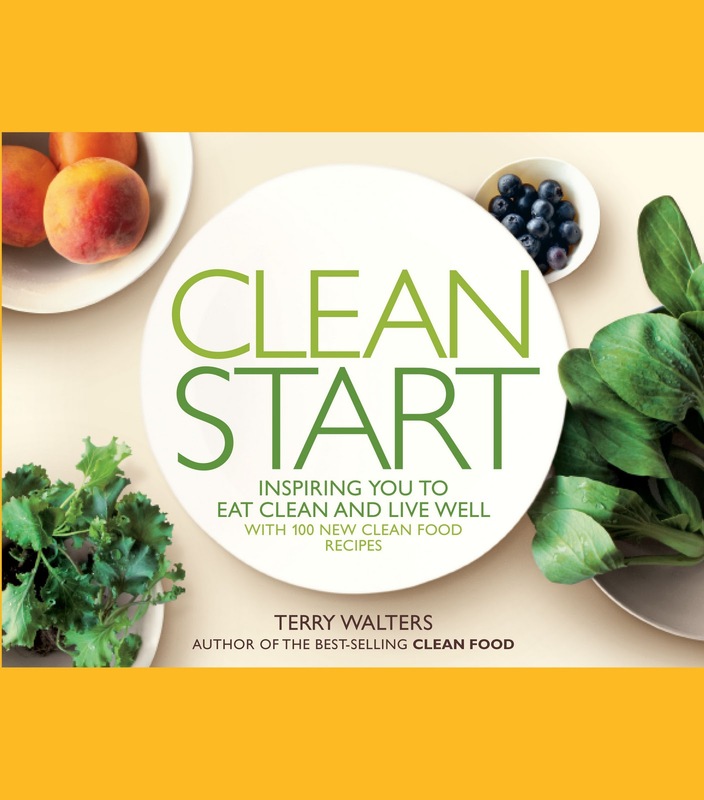 If you missed it, don't miss out on buying Terry's book Clean Start. I believe that it will be, perhaps, the most used book in your collection. It will certainly be the best $25 investment I've made this year. To learn more about Terry, visit her website, follow her on Twitter @TerryWalters and subscribe to her blog. Thanks Terry. What a mitzvah! Do you know the condition of the products you are buying at the supermarket? From whence they came? Are they fresh? “You should be asking or at least thinking about these issues,” says Danny Kovacevic, co-owner of City Fresh Market. According to Dr. Oz’s website, improper practices that lead to food contamination, such as failing health inspections and storing or packaging food indecently are on the rise. Centers for Disease Control and Prevention (CDC) estimate 1 out of 6 Americans, approximately 48 million people, get sick every year, 128,000 are hospitalized, and 3,000 die from foodborne diseases. Although you feel safe at your Goliath supermarket, they may have behind-the-scene secrets. 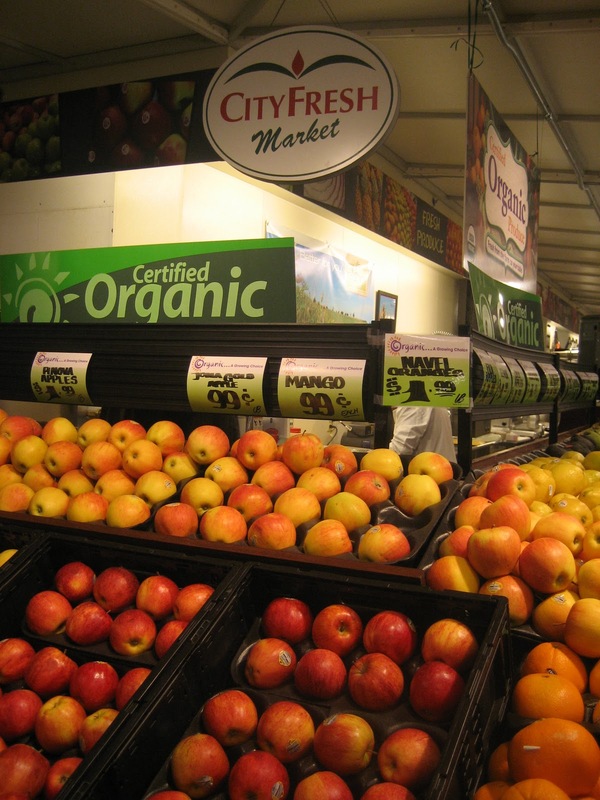 Problems with freshness and contamination at large supermarket chains give good cause for returning to shopping hyper-local. 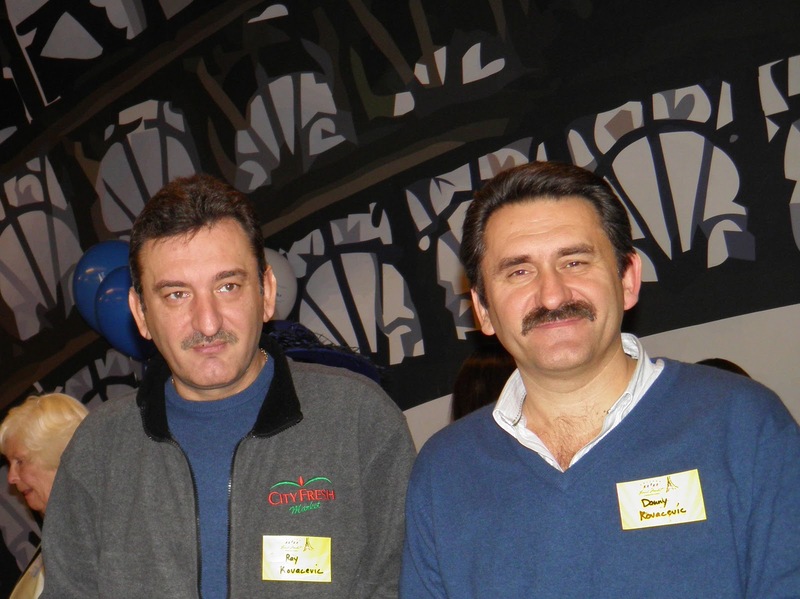 Together, brothers Danny and Ray Kovacevic opened their second City Fresh Market, a European-styled grocery destination in the Chicago French Market, to offer west-loop commuters and shoppers healthy, quality grocery items within steps of their homes. The original City Fresh Market, opened in 2004, is located on Chicago's northside. The days of knowing and trusting the neighborhood butcher may be long gone but not forgotten. Stores like City Fresh Market are popping up in cities across the country, developing special customer-store relationships. Did you know that meat may have been sitting on supermarket shelves for longer than you realize? According to Dr. Oz’s website, it doesn’t appear that way because some supermarkets pump carbon monoxide into packaging, giving meat a fresh appearance. 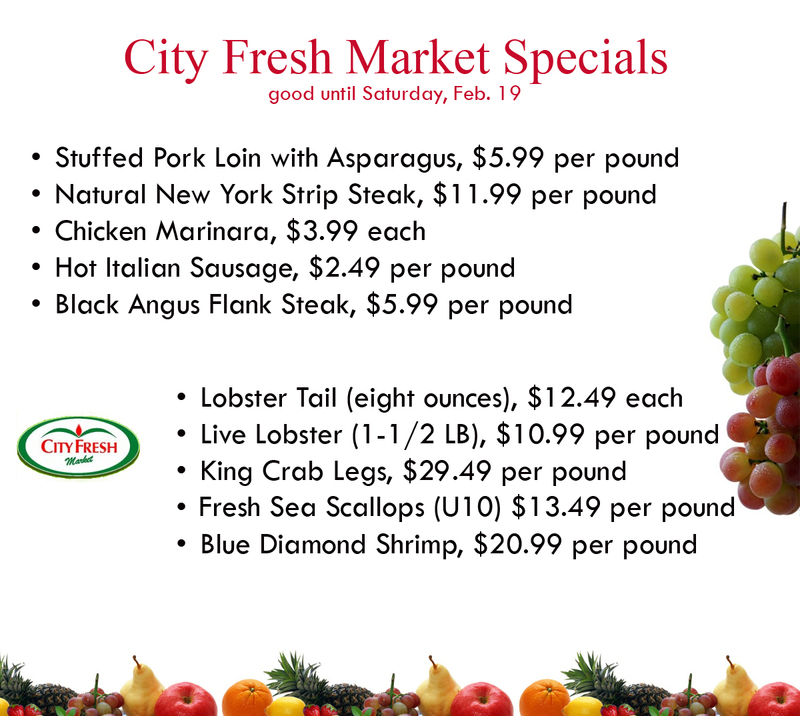 City Fresh Market wants their customers to be healthy, taking necessary measures to provide fresh, healthy and quality products. 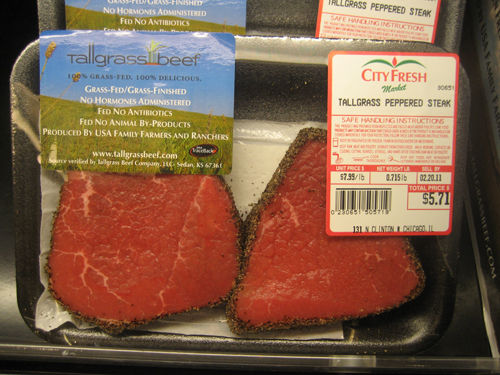 City Fresh Market believes in doing things the all-natural way, offering products that do not contain steroids, antibiotics or hormones such as Tallgrass Beef by Bill Kurtis. Tallgrass Beef cattle are one hundred percent grass-fed for their entire lives. The result is healthier cattle and safer beef, assuring City Fresh Market customers that their well-being has been accounted for. According to Bill Kurtis, grass is the natural diet of cattle—rather than grain. Cattle raised on grain must often be given antibiotics in order to digest their feed. Cattle kept in small pens or feedlots on corn diet have created an increase in the instance of E. coli contaminated beef. Cattle are meant to graze the prairie in collective groups, as they naturally do. 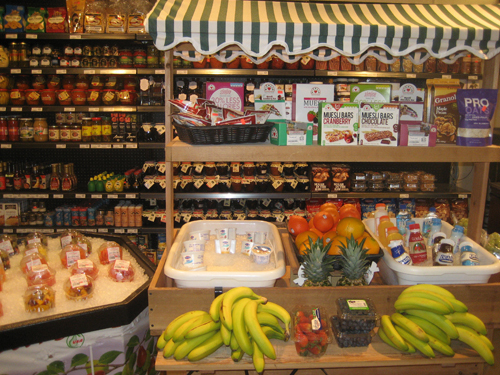 With fresh, ripe produce delivered daily and unique packaged goods imported from all over the world, City Fresh Market’s array of quality products meet all specialty-item shopping needs. 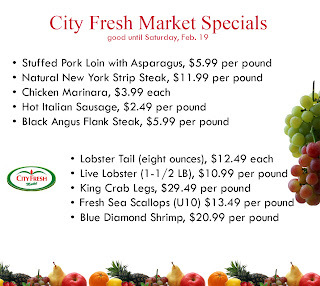 Local Chicagoans who have discovered City Fresh Market have become regulars, considering it the west-loop’s best kept secret. 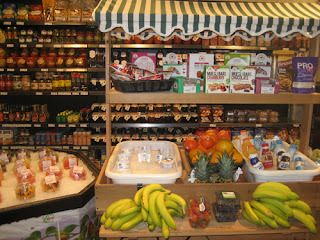 City Fresh Market’s expanded product assortment provides all the essentials for home-cooking in a unique environment. “Customers often comment how pleased they are with our pricing; we are actually quite reasonable compared to the quality and selection of what we offer,” says Danny. 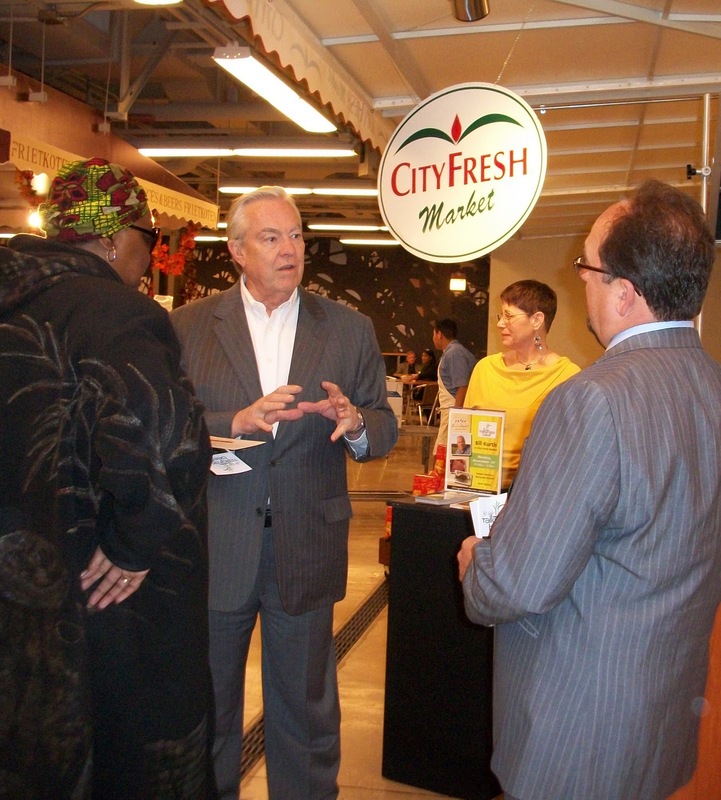 Stop into City Fresh Market and discover what others are considering to be ‘the definitive west-loop neighborhood market’. Expanded product offerings— homemade prepared foods, a variety of meats, fresh seafood, fruits, vegetables, cheese and meat pies, fresh-squeezed orange juice, olive oil, vinegar and salad dressings. In need of a grab-and-go lunch or dinner? Pick up a pre-made, never frozen, and easy to pop in the oven meal; or fresh salad, offered daily along with a distinct array of dressings and oils. 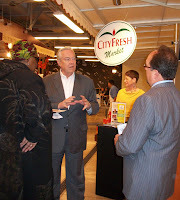 For more information about City Fresh Market, visit http://www.cityfreshmarket.com/ or http://www.chicagofrenchmarket.com/, call City Fresh Market at (312) 575-0230 or Kurman Communications at (312) 651-9000, or e-mail kurmanstaff@kurman.com. please contact Carmen Kramer, Kurman Communications, Inc.
We at Kurman have never met a margarita we haven’t loved. There’s something about the unique blend of fresh fruit, ice and our beloved tequila that sends our hearts a flutter. While most people look forward to traditional holidays like Christmas and Halloween, our favorite holiday has always been National Margarita Day on February 22. This year we plan on celebrating this glorious vacation-like holiday at Guanajuato (73 Green Bay Rd. in Glencoe, Ill.) not its namesake city in Mexico. Featuring more than 40 tequilas, aficionados have the choice of savoring it by the shot, in a specialty cocktail or, our personal favorite, in a delicious brimming-over-the-top margarita. Guanajuato offers classic flavors such as mango, strawberry and lime as well as specialty margaritas including their Mango and Blood Orange Margarita with a little paprika for spiciness, Acai Pomegranate Margarita, and Spicy Margarita made with jalapenos! Other great places to celebrate include Bistro One West (1 W. Illinois St., St. Charles, Ill.). They feature a variety of margaritas including an Acai Margarita made with tequila, Veev liquor and lime juice and Agave Spice made with agave tequila, lemonade, cinnamon and a splash of lemonade served in a cinnamon sugar rimmed glass. Or check out Fleming’s Prime Steakhouse & Wine Bar (25 E. Ohio St., Chicago, Ill. and 960 Milwaukee Ave., Linconshire, Ill.). They will custom make the margarita(s) of your dreams! As if one day isn’t enough, according to http://www.foodimetary.com/, February 18-20 is National Margarita Weekend! What a wonderful excuse to drink Margarita’s all weekend long, take a break on Monday, nurse the hangover and then celebrate yet again on Tuesday! Why, you may ask, is Margarita Day a national holiday and where did margaritas come from? According to http://www.nochelatina.com/, some say that the world-famous tequila drink was named after Hollywood actress Rita Hayworth, who was originally known as Margarita Cansino the dancer. Others claim that bartender Carlos “Danny” Herrera created it at his Tijuana-based restaurant for a beautiful showgirl who was allergic to hard alcohol. The world may never know why Margarita Day is a holiday or why it was created, but on average American’s drink 185,000 margaritas per hour, which makes it practically a patriotic duty to down Margaritas by the armful. There are a myriad of different ways to enjoy National Margarita Day (and weekend!) Where will you be celebrating? Recently opened Bistro One West (1 W. Illinois St., St. Charles, Ill.), a contemporary fresh American restaurant, hosts its first monthly wine dinner 6 p.m. Thursday, Feb. 24. This month’s dinner features winegrower Eric Poolen of DeLoach Vineyards. The cost is $75 per person (including tax and gratuity). The dinner starts with a mouth-watering appetizer—West Coast Mussels with chorizo, shallots and a smoked paprika butter sauce, paired with DeLoach 2007 O.F.S. Chardonnay; followed by an entrée—Roasted Maple Leaf Farms Duck Breast with duck sausage filled mushroom and zinfandel reductions, paired with DeLoach 2008 Russian River Zinfandel; and finished with a delicious Sweet Potato Crepe filled with Bufala Ricotta and orange fig sauce, paired with Raymond 2006 Eloquence Late Harvest Chardonnay. To RSVP, call Bistro One West at (630) 444-0600. DeLoach Vineyards focuses on small-lot winemaking, located in sunny Santa Rosa, Calif., paying special attention to its Russian River Valley, O.F.S. and Vineyard Designate wines. DeLoach is passionate about Pinot Noir—demanding a delicate, labor-intensive process. Each wine is given diligence to produce original, terroir-driven Pinot Noir. 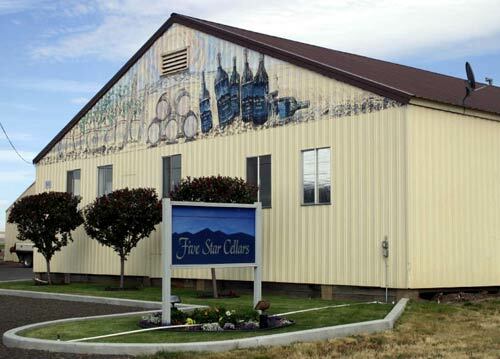 Cecil DeLoach, a fireman from San Francisco, planted the first grape in 1973. Purchased by the Boisset family from Burgundy, France, in 2003, the vision of eco-friendly farming practices were brought to DeLoach Vineyards, showing dedication to the environment and quality of the wine. 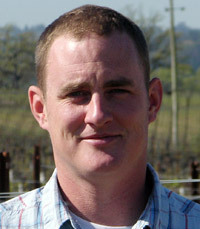 Eric Pooler, DeLoach Vineyards winegrower, is a Northern California native with a foundation in agriculture that was set at a young age by his father. Pooler graduated from Chico State with a degree in agricultural business and a minor in plant science. At DeLoach Vineyards, his experience and commitment to eco-friendly farming practices show in the high-quality wines. For ten days beginning February 18 through February 27, Chicago celebrates Restaurant Week, with more than 200 restaurants offering special prix fixe menus at $22 for lunch and $33/$44 for dinner (beverage, tax and gratuity not included). This is a great opportunity to try new restaurants or old favorites and enjoy a great meal at a fabulous cost. Beverage, tax and gratuity are not included. Having trouble deciding where to eat? Here’s our pick of must try restaurants who are participating. Participating restaurants may offer Restaurant Week menus for lunch, dinner or both – at their discretion. Please view individual restaurant profiles for menu details. 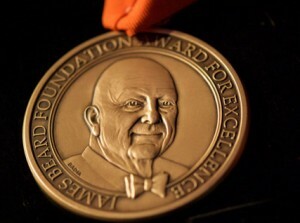 For a complete list of participating restaurants, go here.